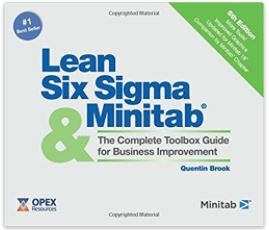 Below listed are some videos, apps, templates and books that we have found of particular value in assisting with a lean six sigma journey. Click on each image to access source material. Enjoy! Regarding the material on this page, please note that Lean Ireland is in no way affiliated with the developers, authors or publishers of the third party videos, applications or books. We receive no favours of any kind for the recommendations. Below listed are some training videos that we have found of particular value in assisting our lean six sigma journey. Please note that Lean Ireland is in no way affiliated with the authors or publishers of the videos, and we receive no favours of any kind for the recommendations. Click on each image to access source material. Enjoy! Why buy it? It’s fun! This video highlights the seven deadly wastes found in both offices and in manufacturing processes. The process of making toast is used to represent the before condition and the target condition of a manufacturing or transaction-based process and helps your people to identify with the process of Kaizen(small and continuous improvements). The video has become so popular that GBMP is now running a competition for thr best YouTube spoof video! Best used as: A learning tool that introduces lean concepts at the start of the organisation’s or team’s lean journey. Why buy it? 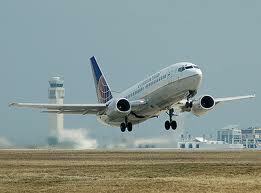 An oldie but goodie, this Boeing video is still the best 5S training video on the market. The narrator takes us through a case study of 5S implementation on the shop floor, intersperesed with comments from the operators involved, and clearly illustrated beforeand after pictures. There is also a section on lean in the office. If you can take the dated clothes and hairstyles (and floppy discs!) it’s still worthwhile. Target audience: A team about to untertake 5S implementation. Best used as: This video can be used as part of a live implementation exercise. Why use it? 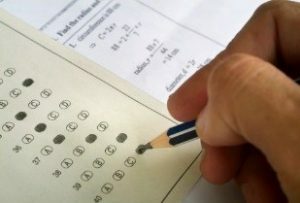 To gain additional points in a multiple choice examination, by using effective examination technique. Why buy it? This is a definitive book on lean culture and practices. 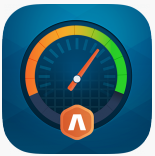 Liker uses an easy writing style to convey the complexity of the Toyota approach to process design, problem solving, employee development, customer service and market growth. Target audience: Managers, lean leaders and black belts, and those interested or involved in organisation-wide lean transformation. Best used as: A definitive text book for all managers in organisations undergoing lean transformation. Why not form a weekly management study group to present and discuss chapters of the book, and their application in your organisation? Why buy it? 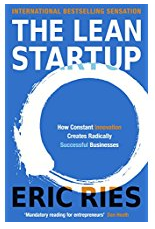 This is a definitive book on starting a lean organisation from the ground up. Whether you are heading up a multi million dollar empire, or a small coffee shop, this book provides the key to establishing a sustainable and innovative business. 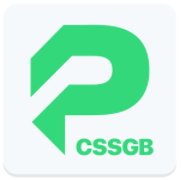 Target audience: Business owners, organisation leads and senior executives with responsibility for new product, service or site start ups. Best used when: Swallow it whole before breaking ground on any new venture. Why buy it? 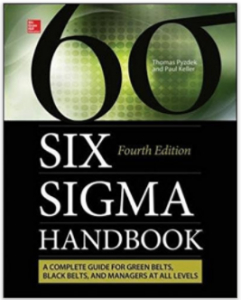 This is the definitive textbook on establishing and sustaining a successful six sigma programme. Target audience: Managers, six sigma leaders, and black belts, and those interested or involved in organisation-wide six sigma transformation. Best used as: A definitive text book for all managers in organisations undergoing six sigma transformation. Why not form a weekly management study group to present and discuss chapters of the book, and their application in your organisation? Why read it? 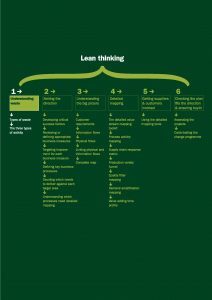 This LERC mug’s guide to implementing lean is the best/ most comprehensive (54 pages) guide to lean implementation in an organisation. Best used as: A step by step structured guide to implementing lean in the organisation. Why buy it? It’s a small and very informative reference book. 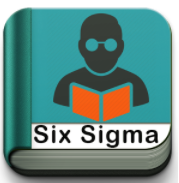 The first 26 pages provide the best summary overview of what the six sigma approach entails, that I have yet read. It’s worth it for that summary alone. Target audience: Green belts, supervisors, managers, engineers, and those leading or participating in six sigma improvement teams. 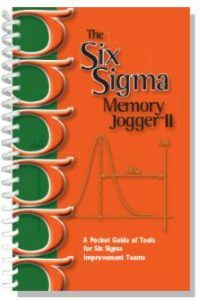 This is an indespensible reference pocket guide for six sigma techniques, that punches far above its weight. Best used as: A reference book to provide guidance on how and when to use particular six sigma process improvement tools. Why buy it? 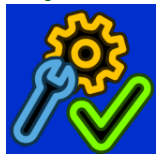 This wire-bound “complete toolbox guide for all Six Sigma practitioners” is an invaluable companion to Minitab software. 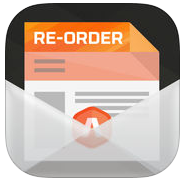 Its logical tabbed layout is clear and easy to navigate. Why buy it? 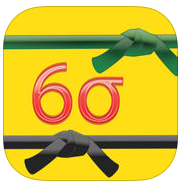 A comprehensive guide for green belts and black belts through the six sigma body of knowledge. Clearly written. It does not cover some advanced black belt topics. 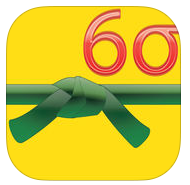 Target audience: Green belts & black belts and anyone seeking a strong foundation in the six sigma curriculum. Why buy it? Combining theory, case studies, and interactive internet-based learning, this book forms part of an attractive multimedia learning package. 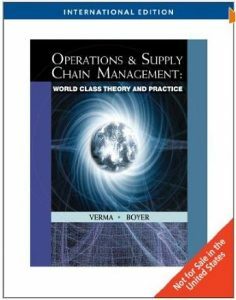 Best used as: A definitive text book for all students of SCM and for managers in organisations undergoing supply chain transformation.